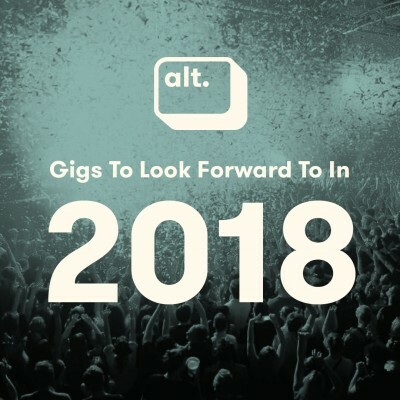 2018 Gigs To Look Forward To! NewsInterviews2018 Gigs To Look Forward To! 2017 was a huge year for gigs and festivals with Nick Cave & The Bad Seeds, St Vincent, Enter Shikari and Wolf Alice to name a few. But 2018 is looking even brighter, take a look at some of the shows you've got to look forward to in the coming 12 months! After topping the Christmas chart with the incredible 'Perfect', as well as becoming the biggest selling artist of 2017, Ed Sheeran continues his tour dates in 2018 with Manchester, Glasgow, Newcastle, London and Cardiff stadium dates. Good news if you haven't bought your tickets yet, a very limited number have just been released! Buy your Ed Sheeran tickets here. Fresh off their Glory Days tour which saw the girls play at SOLD OUT arenas around the UK, Little Mix will be back in a city near you for their Summer Hits Tour 2018. Expect to hear your favourite songs including 'Touch', 'Shout Out To My Ex', 'Black Magic', 'Wings' and 'Power'. With tickets already snapped up for some dates, be quick to secure yours to see the four-piece live in Hove, Derby, Lincoln and Falkirk! Buy your Little Mix tickets here. 80s music legends The Human League will head out on a huge 13 date UK tour in November & December 2018. These unmissable 'Red Live' shows will see support come from Midge Ure's Band Electronica. Buy your The Human League tickets here. Known for their incredible live performances, New Zealand's finest Fat Freddy's Drop return to the UK in November 2018. With sold out shows across the world, you won't want to miss the seven-piece live in Birmingham, Manchester, Glasgow and London. Buy your Fat Freddy's Drop tickets here. Grammy-nominated singer/songwriter Beth Hart has confirmed her biggest UK headline tour to date in April & May 2018, concluding with a SOLD OUT show at London's Royal Albert Hall. Buy your Beth Hart tickets here. After announcing a Royal Albert Hall show which will see the band play their incredible 'Moonmadness' album in full, as well as other classic tracks, prog-rock legends Camel will be bringing the tour to venues across the country too! Including Manchester, Newcastle, Southampton, Cambridge and Birmingham! Buy your Camel tickets here. Indie rock favourites The Rifles announce FIVE shows at London's The Garage in February where the band will play each of their five brilliant albums; No Love Lost, Great Escape, Freedom Run, None The Wiser and Big Life, in full. Buy your The Rifles tickets here. After confirming his brand new album 'Only Human', which includes the platinum 'Dancing On My Own' as well as his brilliant new track 'You Are The Reason', Calum Scott will head out on tour to celebrate! Don't miss Calum live at Nottingham's Rock City, O2 Institute Birmingham, O2 Academy Bristol and London's O2 Shepherd's Bush Empire in April 2018. Buy your Calum Scott tickets here. EVEN MORE GREAT GIGS TO GET EXCITED ABOUT! Nick Mulvey, Tash Sultana, Angus & Julia Stone, Jamie Lawson, Garbage, Brian Fallon & The Howling Weather and more!